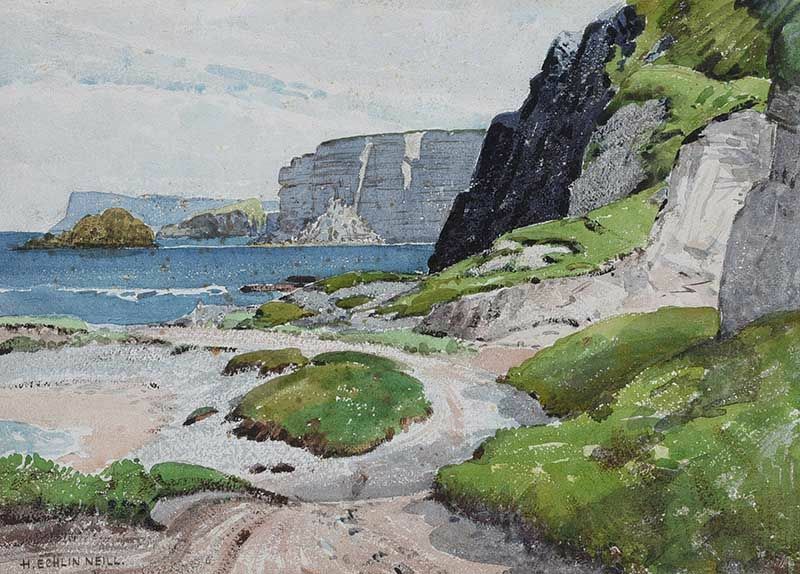 Henry Echlin Neill RUA (1888-1981) was born in Belfast, N. Ireland. Neill studied at the Belfast School of Art and then trained as a lithographer. He became a member of the Belfast Art Society in 1912 and first exhibited at the RHA in 1929. He worked as a teacher for most of his adult life and is best known for his landscape and figurative works. He exhibited regularly with and was elected a member of the Belfast Art Society and the Royal Ulster Academy.